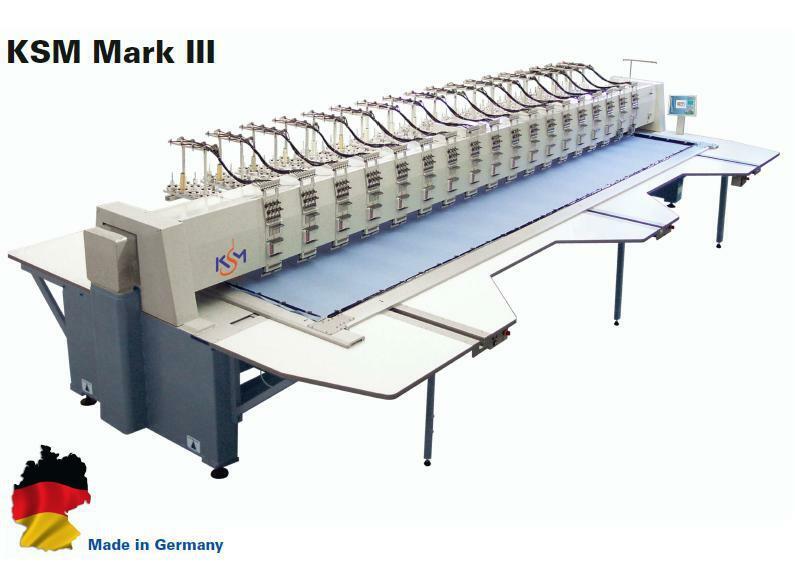 High speed and heads, Pfaff KSM Mark III "MADE IN GERMANY", for garments, knitwear, leather, etc. 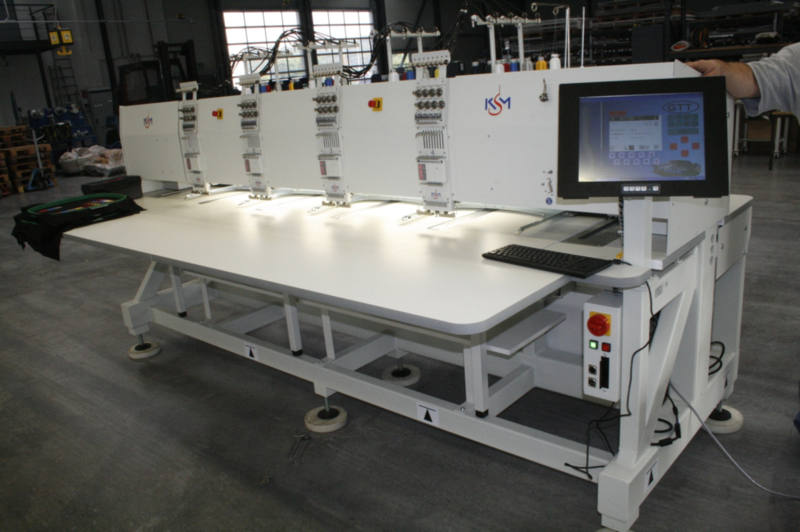 Due to it´s outstanding productivity combination of working speed and the many downtimes reducing features like self lubricating, jumbo hook, adjustable pressure foot for various material thicknesses, etc., this class with 2 up to 60 embroidery heads is designed for a daily 24 hours operation. 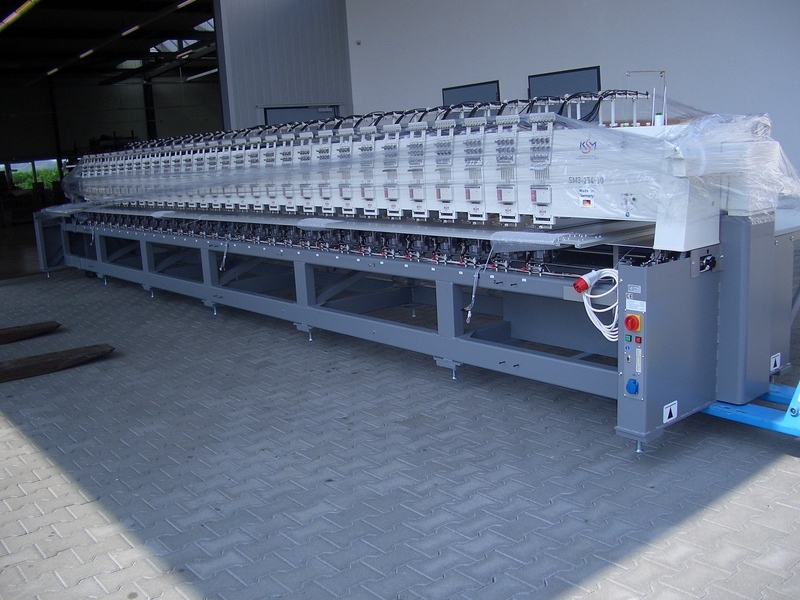 This economical long lifetime machines guarantees a astonishing short payback. 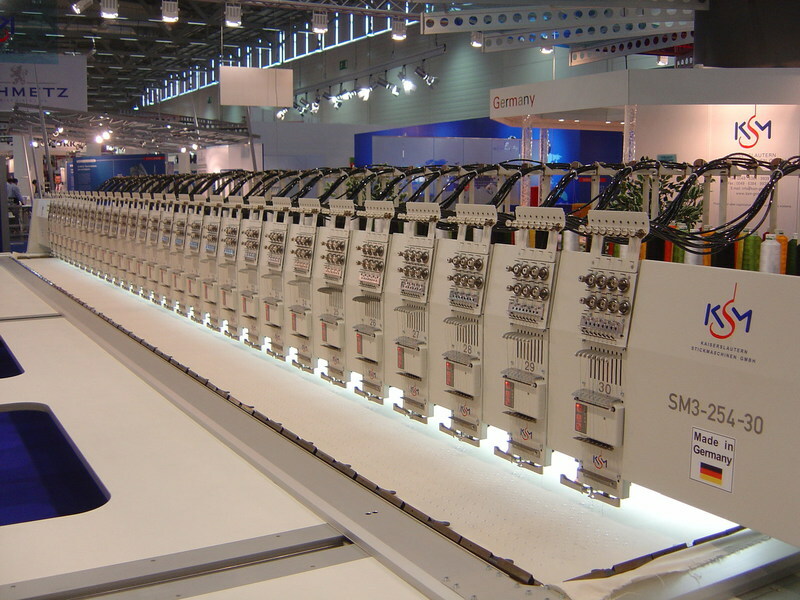 Pfaff KSM embroidery machines have a unmatched working speed of up to 1.600 stitches per minute, dependent on machine type, stitching area and kind of production. 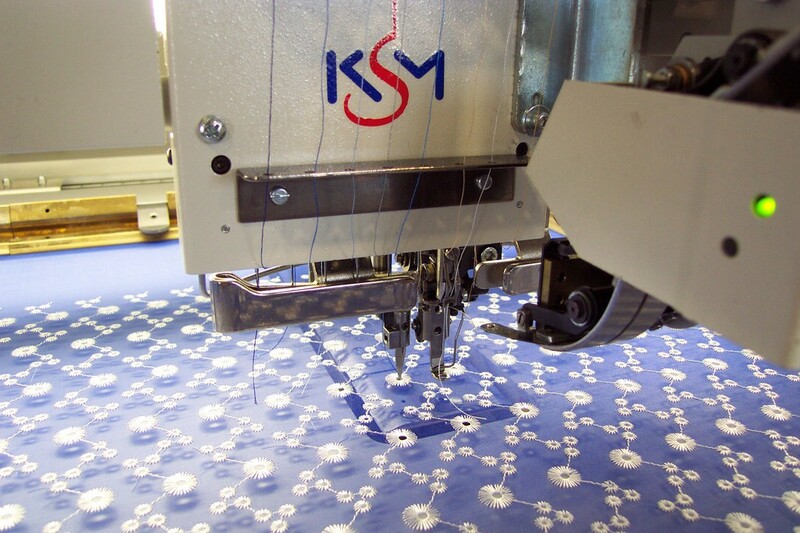 And this for up to a stitch lenght of 6.2 mm! 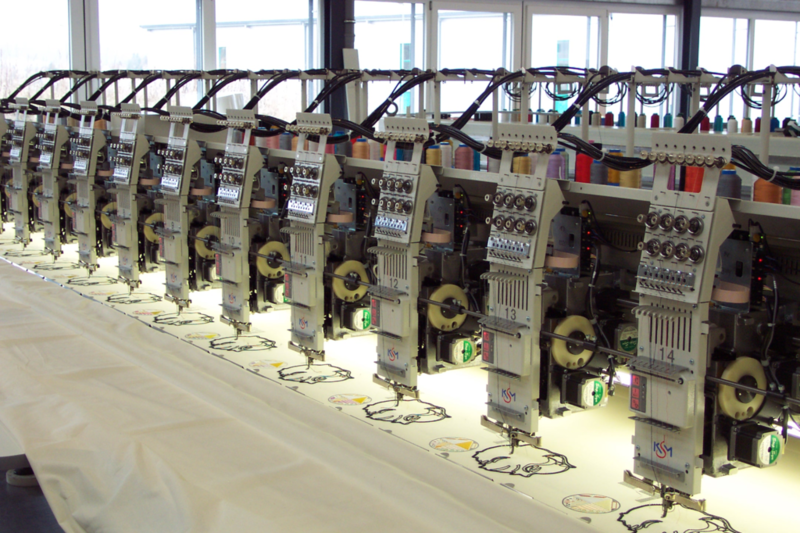 Other brands reduce sensitively the speed after 2,5 mm stitchlenght or do "jumpstitches". This is a definite 25-30 % higher speed compared to the rest. 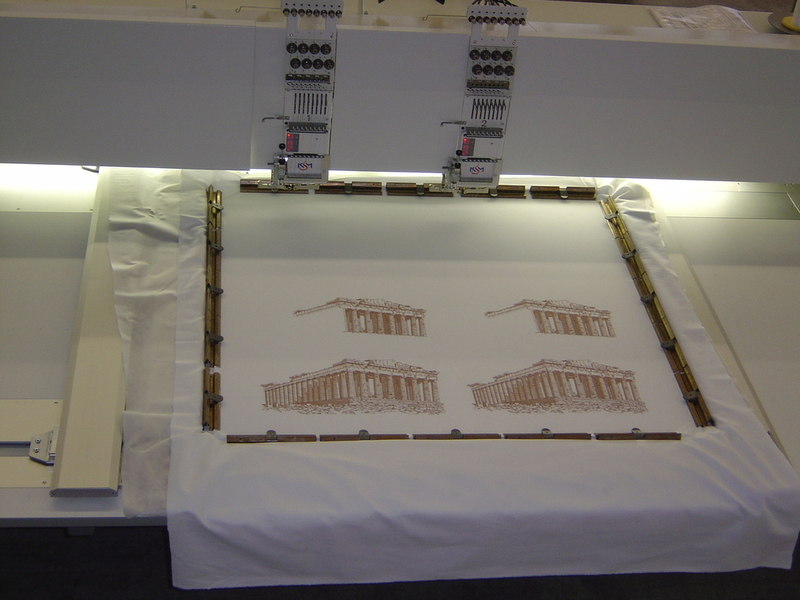 This high speed is of greatest interest for designs starting with only aprox. 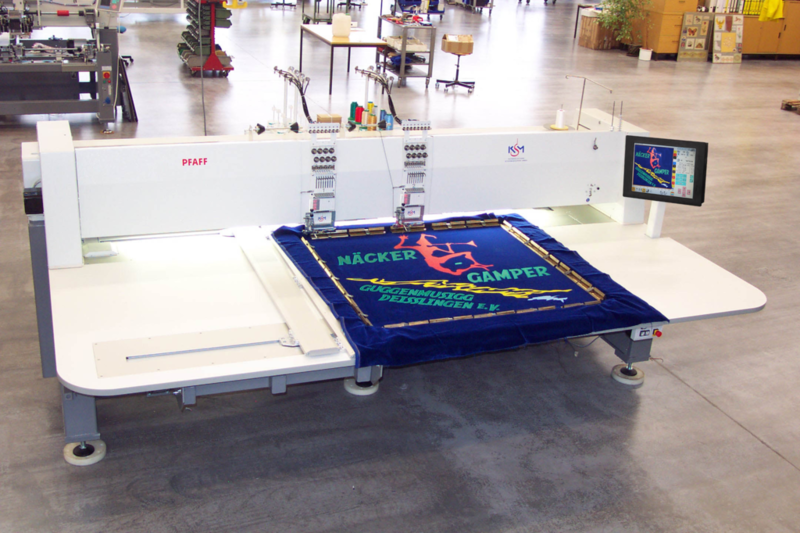 5.000 stitches. 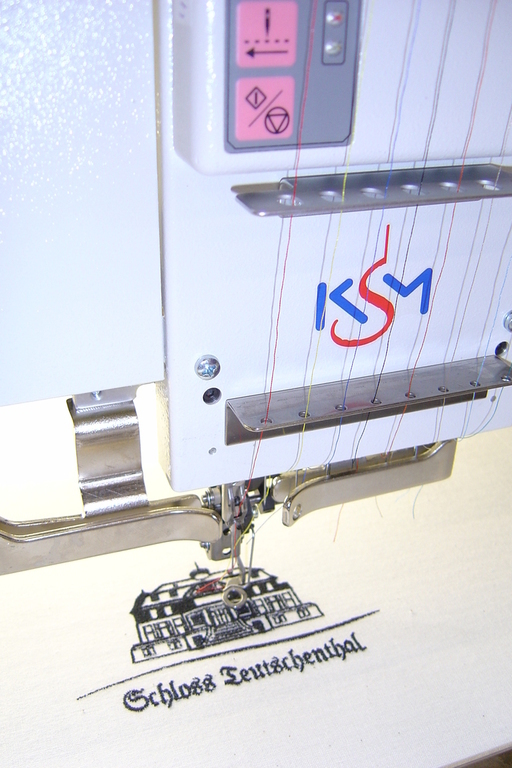 Other brands needing more stitches than with the Pfaff KSM technology. 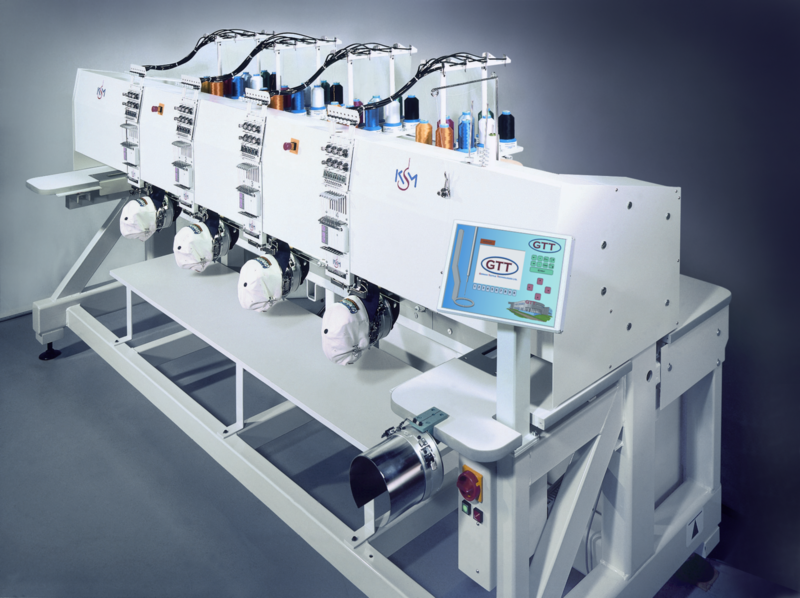 This long stitch of 6.2 mm at full speed even reduce number of stitching, dependent of design, between 25 to 50 %, as coming even very close to Schiffli standard stitchlength of 8 mm. 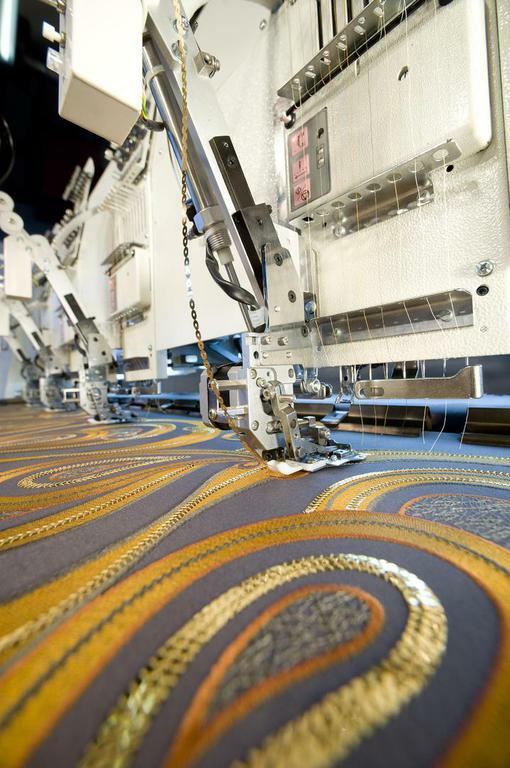 Our machines have (standard) adjustable pressure foot from 0.5 mm to up to 4.5 mm, in steps of 0.5 mm, adjustmant in seconds only by the panel, other brands request a "manual screwdriver" intervention / head by head and needle bar by needle bar, in other words, costing again hours of productivity. 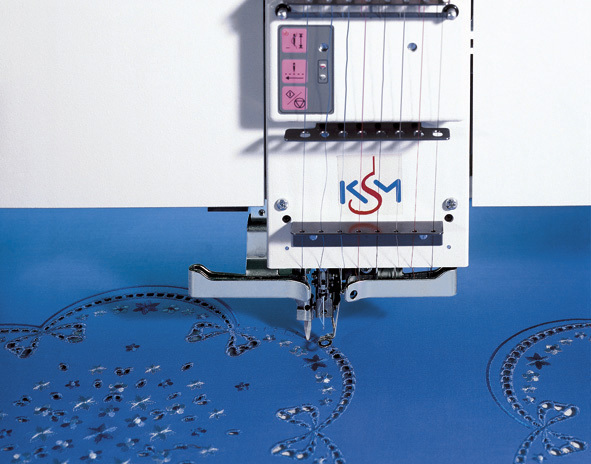 Our Pfaff KSM system avoids hammering effects of needle bars on the table, causing with other brands premature wear and tear of needle bars and unwanted shaddow effects on material. 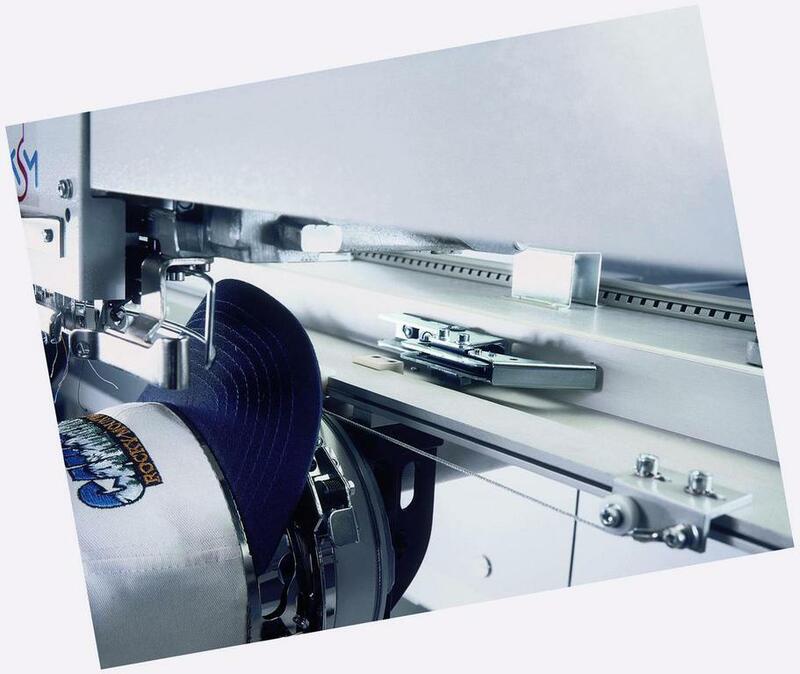 Our Pfaff KSM is not needing backing / paper even for very thin material, only for knitwear. 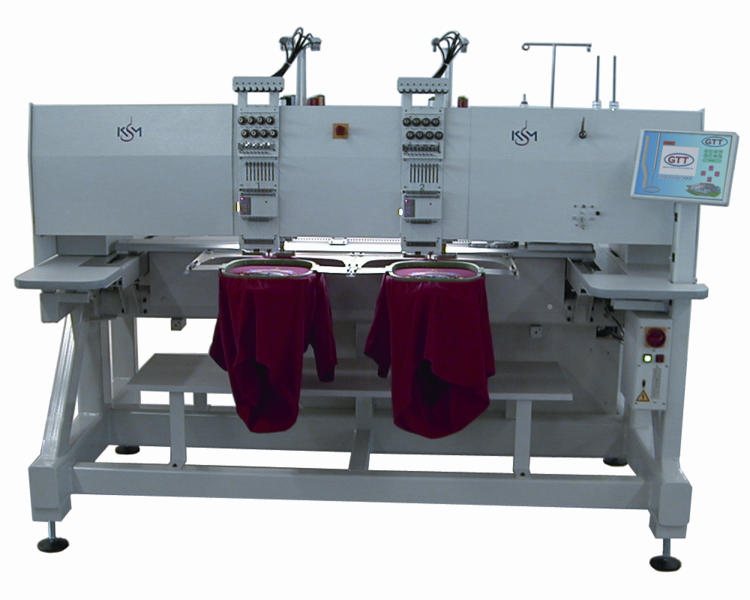 The machines come with jumbo hooks / bobbin (standard) providing up to 10 % extra productivity per shift or in other words up to 2 hours per day extraproduction, this cool cash, most brands even not offering optionally jumbo hooks / bobbins. 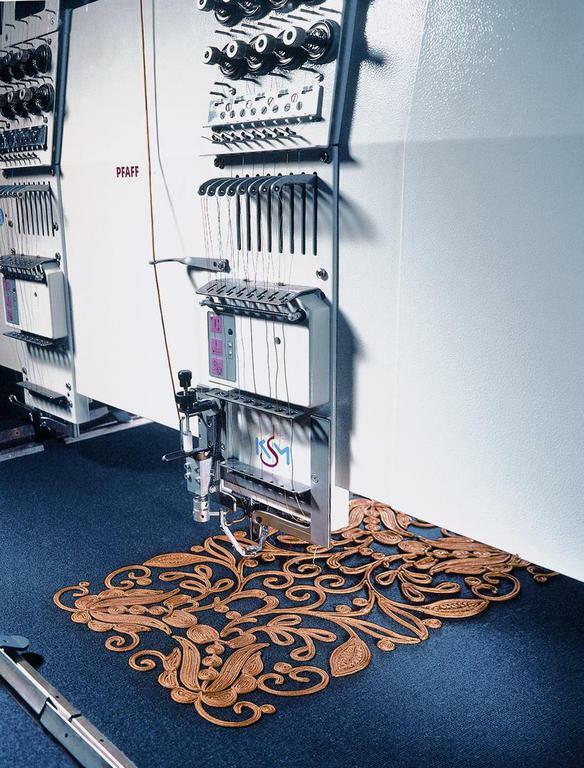 Our machines have a seperate oiling system for each head and each hook* system (*FB), never causing oil stains! 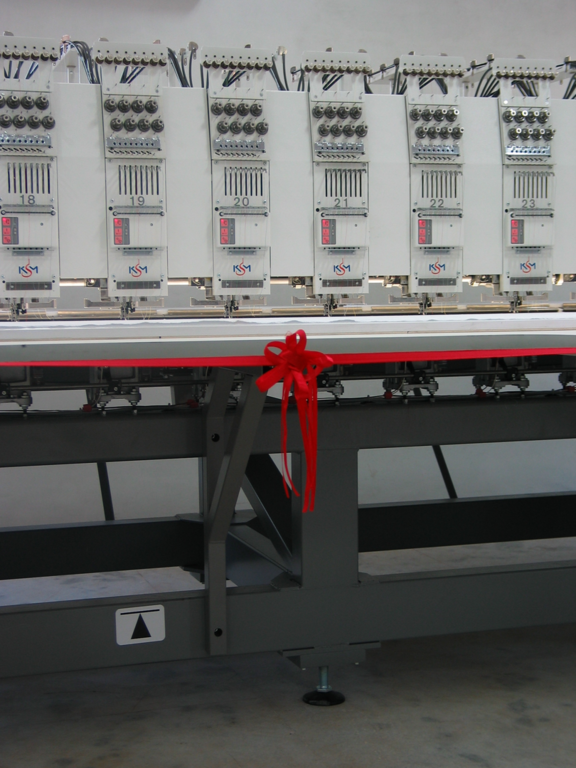 due to atomizer system (such as perfumes), this is saving at least 1 service hour per day, and no risks of stains, which must be removed with greatest diligence -if ever even possible. 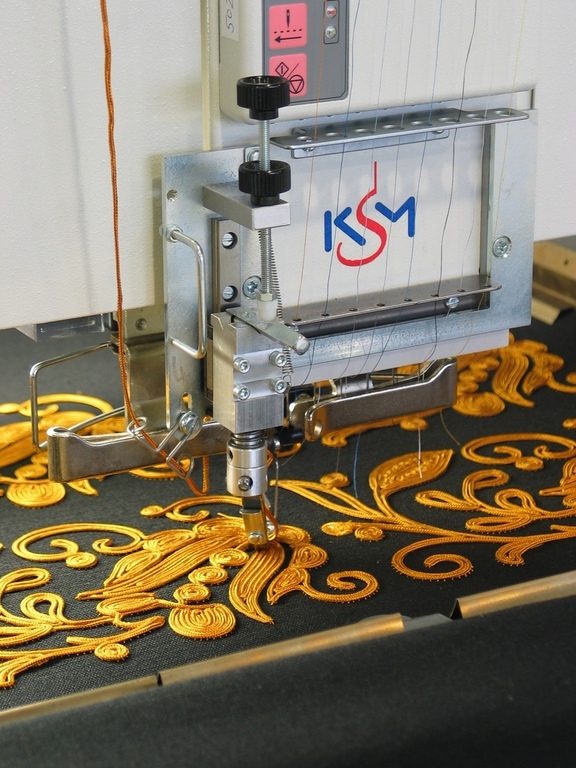 Pfaff KSM can take in and out in case of problems a complete embroidery head and this in a short while only, as all heads are connected with short connection couplings, a very modern and even not available concept with the other brands, saving hours of standstill time. 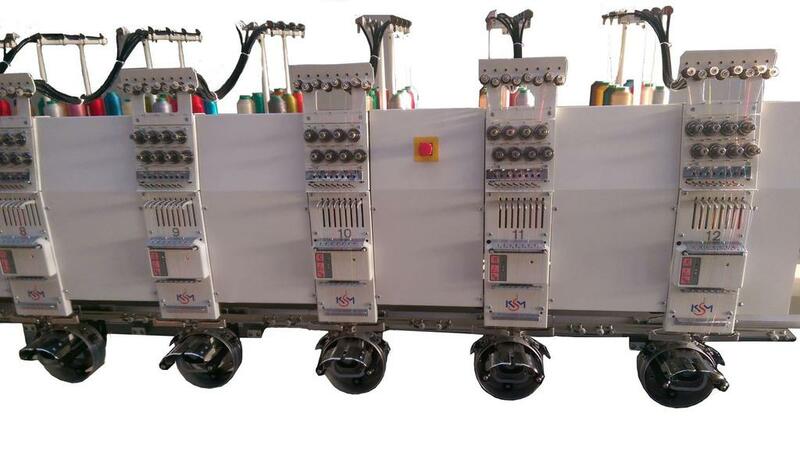 Other brands have to draw out and to pull back the complete mainshaft. 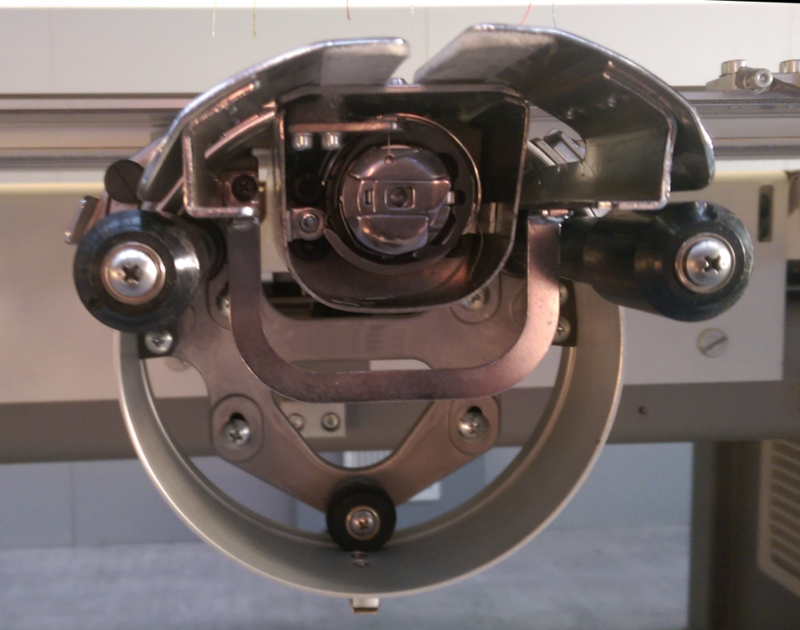 Pfaff KSM has a magnetic opening of main tension (no jack clips) plus the called bobbin case opener, adopted from the Pfaff Highspeed Sewing Machines, leading into up to 30 % less stress to the embroidery thread. 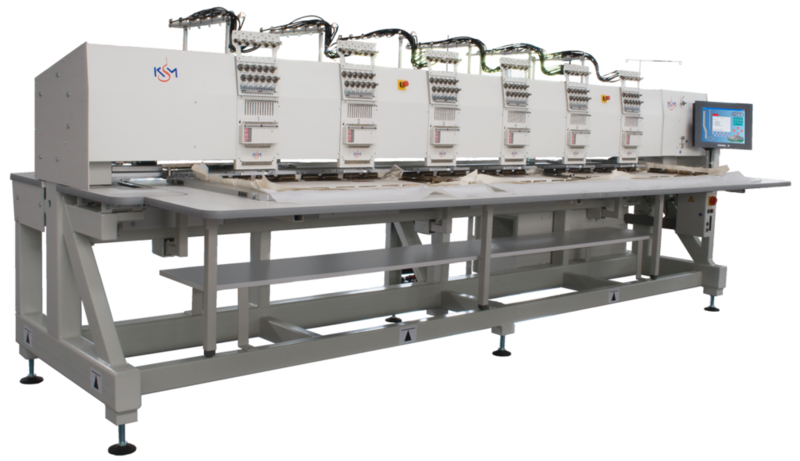 Our heavy build "MADE IN GERMANY" embroidery machines beat the other Premium Brands by at least 50 %, not to speak of the many classic Chinese brands which we beat by the at least up to 100 % in higher productivity. 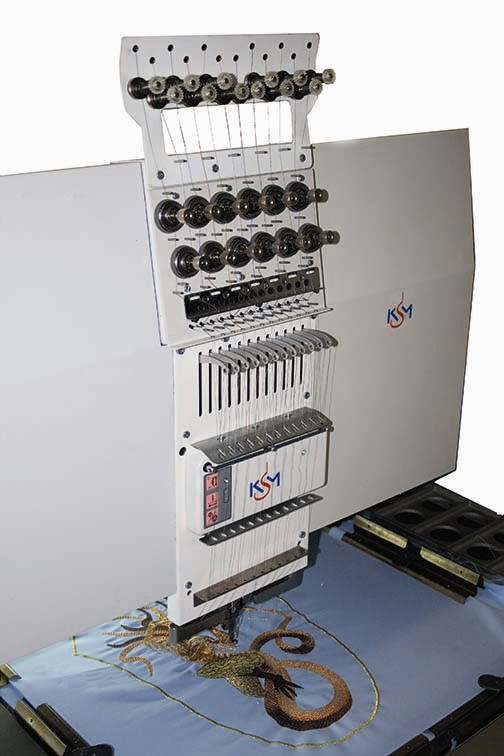 We also offer a spare parts availability of 10 years plus. Of course there is optional special equipment available. 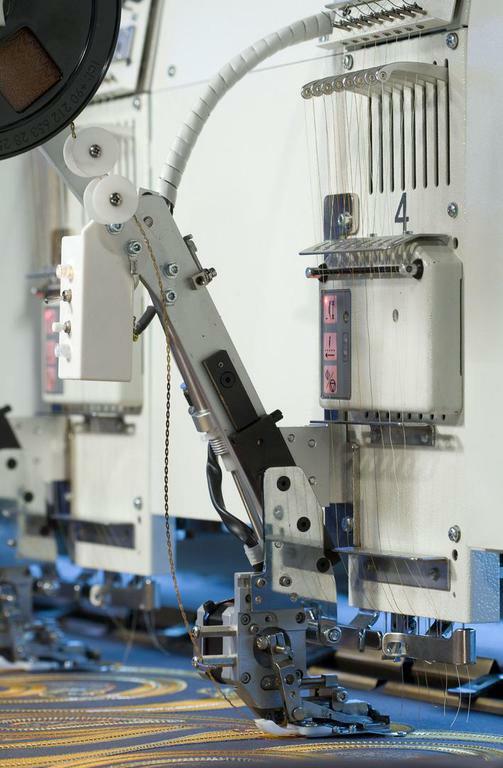 Also it`s possible to built customized special models on demand.